Check Out the New Careers in Gear! Randall-Reilly / Driver Recruiting / Check Out the New Careers in Gear! We’re proud to unveil the new and beautiful careersingear.com! The Careers in Gear relaunch is a culmination of our drive to make the site the premier platform for recruiting drivers or diesel mechanics. 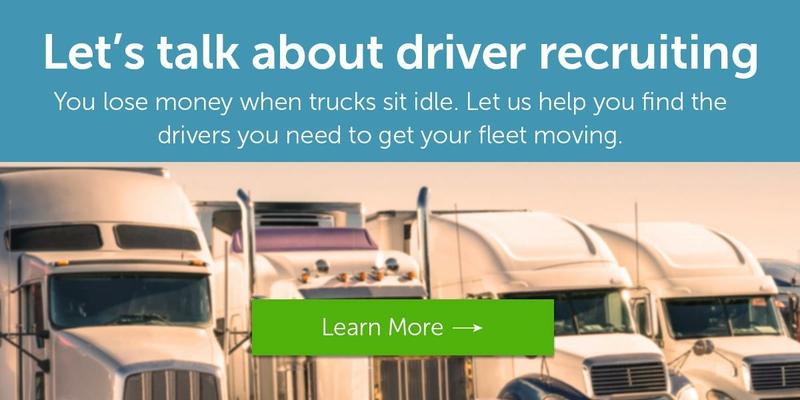 When we initially acquired careersingear.com in December 2013, it was functional as a forum for drivers looking for jobs, but it was busy and geared more toward desktop users. In order to accommodate the explosion of smartphone usage in our audience and the fact that more than half our Careers in Gear traffic comes from mobile devices, we built the new site from scratch. The relaunch was also about getting out in front of trends in the way leads are being collected. Namely, focusing on providing a seamless, flawless user experience across various devices to make applying for jobs as simple as possible. User experience is the most important aspect of keeping Careers in Gear a great tool for our truck driver recruiting clients. Reid also explained how the creation of this new website will improve our ability to push innovation and increase recruiters’ lead-to-hire rate. Job seekers can filter searches by state, company, or haul type (flatbed, hazmat, heavy haul, oversized, reefer, tanker, and van). Candidates can also set up a Job Alert to get instant notifications when jobs that match their criteria open up. To increase the site’s organic search rank, we added a blog that stays updated with the latest trucking industry news. Speaking of ‘leads targeted to hiring criteria,’ one of the great features on the new site is the recommendation engine we built to point pre-qualified leads toward other relevant jobs matching their skillset. We’ve already noticed candidates submitting about 300% more applications, a promising start toward our vision of Careers in Gear remaining a reliable source for your recruiting needs in the coming years. We hope you find the new CiG seamless, responsive, and informative, but above all, a helpful hub where talent and opportunity meet. We’ll keep doing the best we can to make it a gateway for effective, efficient recruiting. For those looking to hire qualified drivers or mechanics, contact us here for more information on creating an advertising package tailored to your needs.